These are the inspirations from which the next two polishes were drawn. 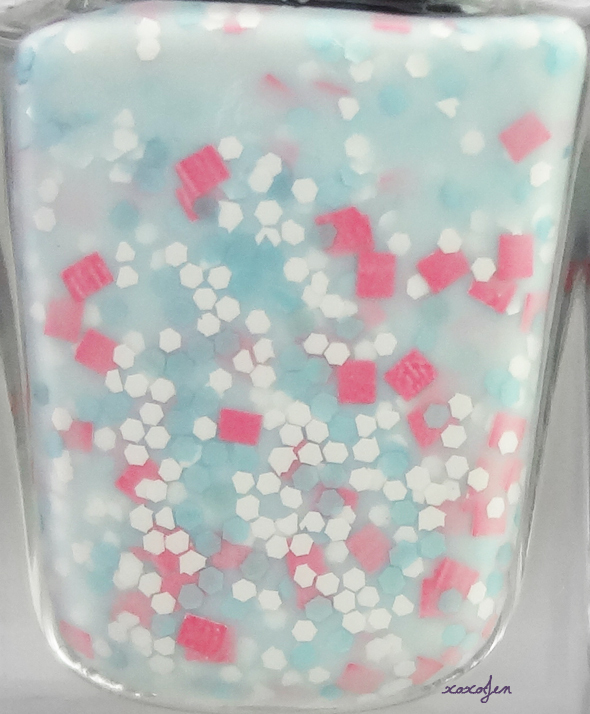 Sweet Baby James is a very light baby blue sheer cream filled with pink squares and blue and white hex matte glitter. Sweet Baby James was fairly easy to apply, a little thick but not at all goopy. I didn't have to dig for the pink squares which is always nice! Two coats over Revlon Blue Lagoon. Mattified with Hard Candy matte top coat. A few complete strangers complimented my polish! I really enjoyed wearing it. 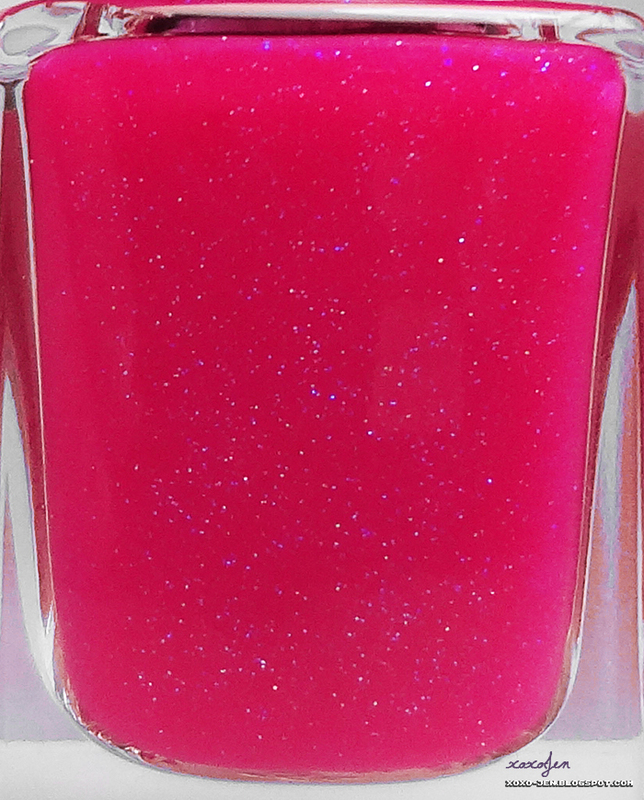 Miss Wohelo is a sheer pink candy lollipop color flecked with glowy purple shimmer. Seriously, I thought about it and wondered if it would taste as good as candy! Mattified with a Lynnderella Bride of Franken topped accent nail. It goes perfectly as a topper for this polish. I have really enjoyed the recently released polishes from Whimsical Ideas. The whole collection is made of win, take a look! If you love these as much as I do, what are you waiting for? Click on over to Whimsical Ideas and get some! how does the pink compare to Butter London's Disco Biscuit? It looks similar... possibly more sparkly! Gorgeous swatches! I don't have the BL, but thank you! Your swatches always make me want to go buy every one of Pam's polishes! Sweet Baby James is gorgeous! I love the pops of pink in it!